On the night of March 26, 2003, a brilliant fireball exploded and fragmented over south suburban Chicago, hammering houses and sidewalks with meteorites. Many people witnessed the event and collected the precious stones. This is the story about the meteorite that smashed through the roof and into the lives of the Zarkah family. 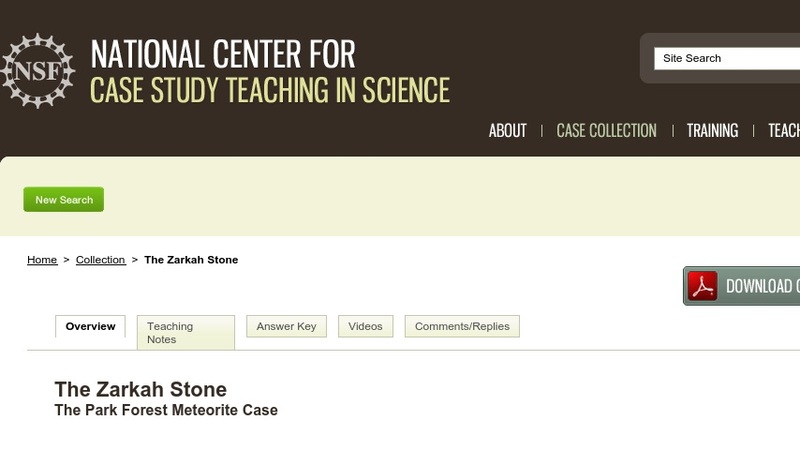 Appropriate for an introductory astronomy or planetary science course, the case explores the physical and chemical characteristics of different types of meteorites and their different origins as well as the fascination and value they hold for the scientific community and collectors.